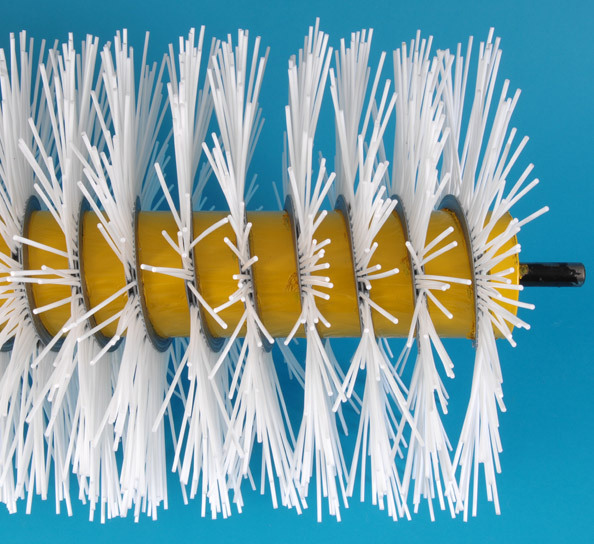 A heavier duty version of our standard brush roller used in within the Trommel Screen cylinder, these brushes are used to separate materials by size for various applications throughout many industries. 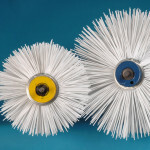 Manufactured with a full length solid steel shaft with bearing in each end with a 100mm Diameter steel tube surround, covered in a heavy duty 3mm white nylon filament coil. 3mm Nylon filament is used to ensure the best performance in both wet and dry conditions. 5mm filaments are available on special order, an additional cost will be applicable. 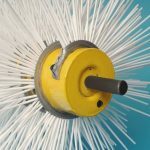 All our industrial brush rollers have internal bearing, meaning they need only to be clamped to the side of a Trommel screen frame. 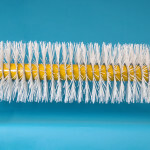 Custom brushes and bespoke designed roller brushes are available upon request. 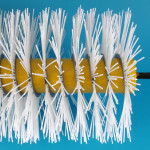 Roller brushes available for screen cleaning and glass cleaning rollers. 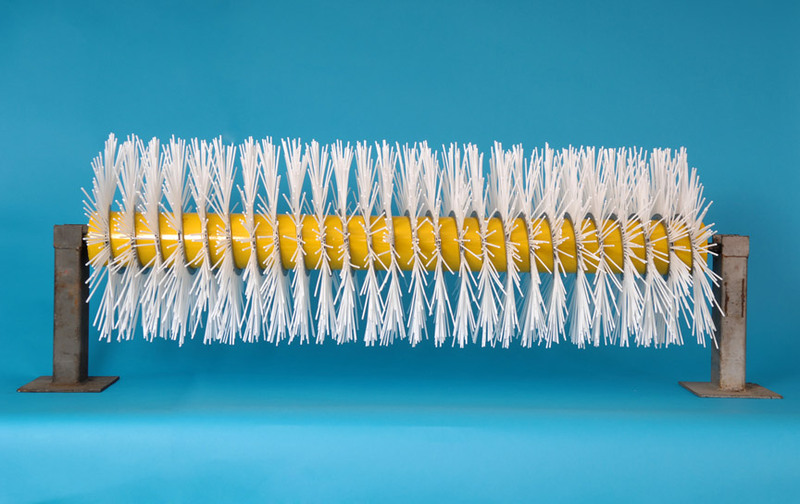 We have supplied industrial brush rollers complete with bearings and heavy duty brush strips to many of the major manufacturers of Trommel Screens across Europe, including Powerscreen, McCloskey, Finlay and McDonald. 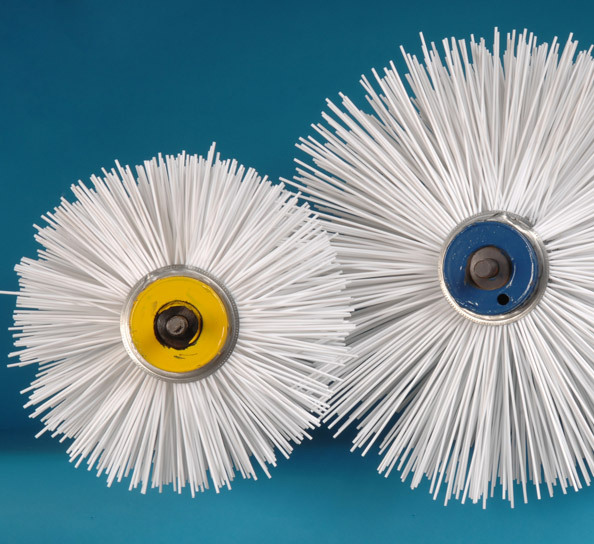 Trommel brushes from Widdops are manufactured from the highest quality materials and are widely used in the quarry, recycling & waste management industries. 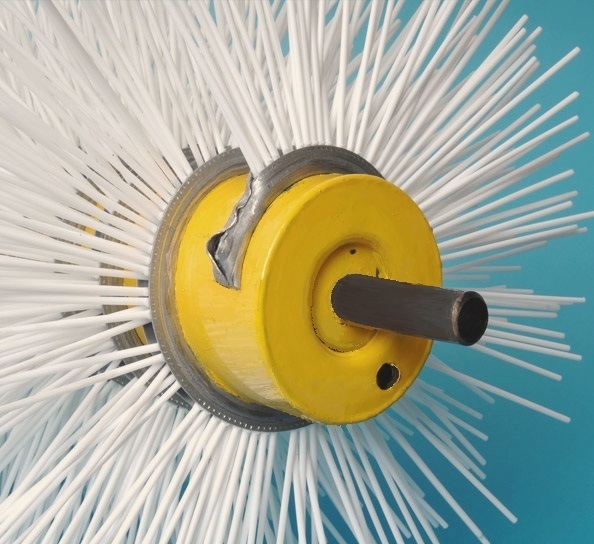 We also have capacity for refurbishments of existing rollers including welding and fabrication services.